Île de Ré’s first salt marshes are thought to have been created in the 12th and 13th centuries by the monks of Saint-Michel-en-l’Herm, who at the time ruled over the islands of Ars and Loix. The marshes were reclaimed from the sea using a containment system which traps alluvial and mud deposits. These outlets continued to be expanded until the 19th century, reaching nearly 1,500 hectares of salt land regained from the ocean world, or 18% of the island’s surface area. Île de Ré salt and fleur de sel are a sea salt harvested by hand by evaporating the seawater. These products taken directly from nature do not contain any additives and do not undergo any treatments. Today, independent and cooperative salt workers have combined forces to form an association designed to create common specifications that define shared production methods and specific quality levels. Traditionally, salt workers also worked the land as winegrowers, gardeners or similar. Holdings were therefore generally family-run, with the wife assisting the head of the family in all agricultural work. 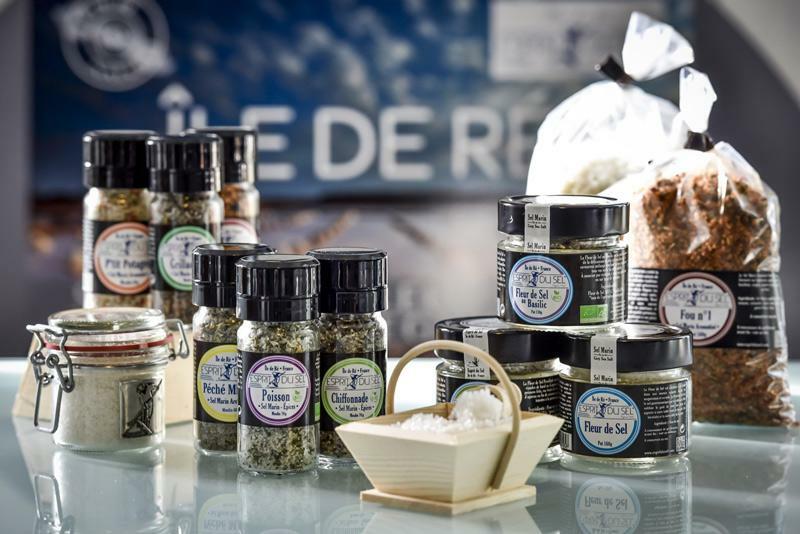 Our Île de Ré salt and fleur de sel enhance the taste of your favorite meals.